The postponement is aimed at allowing “further consultation”, the agency added without further details. Sudanese Defence Minister Awad Ibn Ouf on Thursday declared “uprooting the regime” and detaining al-Bashir in response to four months of streets protests against the latter’s rule of nearly 30 years. Ibn Ouf also declared two years of military transition, a three-month state of emergency, suspending the constitution and a nighttime curfew. Thousands of protesters staged a sit-in outside the army headquarters in the capital Khartoum in defiance of the curfew, demanding the handover of authority in the North-East African country to a civilian administration. Ibn Ouf was Thursday night sworn in as head of the transitional council, state television reported. The protesters see the military council as part of al-Bashir’s regime. A military-installed committee is due to meet on Friday with Sudan’s political powers, according to SUNA. The panel will also have separate talks with foreign ambassadors on the situation in the country. Cairo: Sudan’s military on Friday defended taking charge in the country, a day after its overthrow of longtime ruler Omar Al Bashir and ruled out interest in staying in power. Sudanese Defence Minister Awad Ibn Ouf on Thursday declared “uprooting the regime” and detaining Al Bashir in response to four months of streets protests against the latter’s rule of nearly 30 years. Ibn Ouf also declared two years of military transition, a three-month state of emergency, suspending the constitution and a nighttime curfew. The opposition rejected the military takeover and demanded protests to persist to pressure a military transitional council to hand over power to a civilian administration. Zein Al Abdeen said that the transitional period could be cut short” depending on circumstances”, but noted that the military has no ambitions to keep power. “The military council will start a dialogue with the political powers,” he added, promising a “full change” in the African country. Sudan’s new government will be made up of civilians , with the posts of defence and interior ministers to be only held by members from the military, according to Zein Al Abdeen. 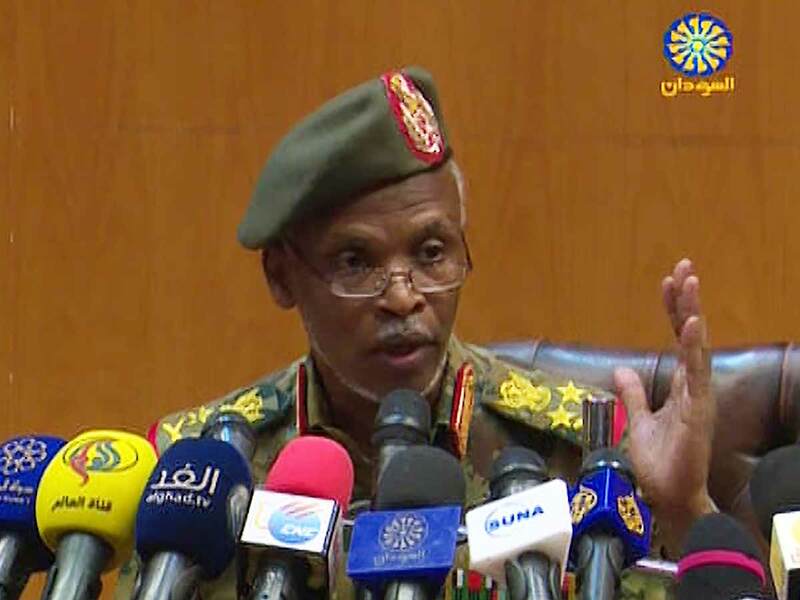 KHARTOUM: The new Sudanese government will be comprised of civilians, the head of the military council's political committee said on Friday, a day after President Omar Al Bashir was deposed by the military. The former ruling National Congress Party of Sudan's ousted president Omar Al Bashir will be allowed to compete in planned elections, the head of Sudan's transitional military council's political committee said on Friday. On Thursday, Sudan's Defence Minister Mohammed Ahmad Awad Ibn Auf ousted longtime ruler Omar al-Bashir and said the council will lead a transitional period to be followed by elections. Sudan's ruling military council expects a transition period it announced on Thursday to be two years at most, and said it can be as short as one month if it is managed "without chaos", said the head of the council's political committee. Sudan's transitional military council "will not force anything on the people" and wants to create an atmosphere for peaceful dialogue, the head of the council's political committee said.